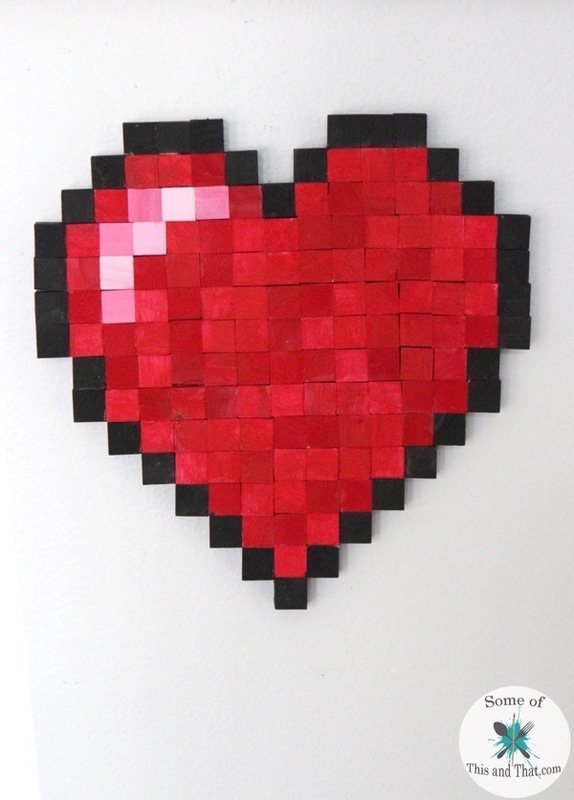 DIY 8-Bit Heart! | Nerdy Crafts! Can you believe that it is already February? January just flew by, and now Valentines day is just right around the corner! Last week I overhauled my office, so when cleaning I found that I still had a lot of blocks left over from my 8-Bit Art project. 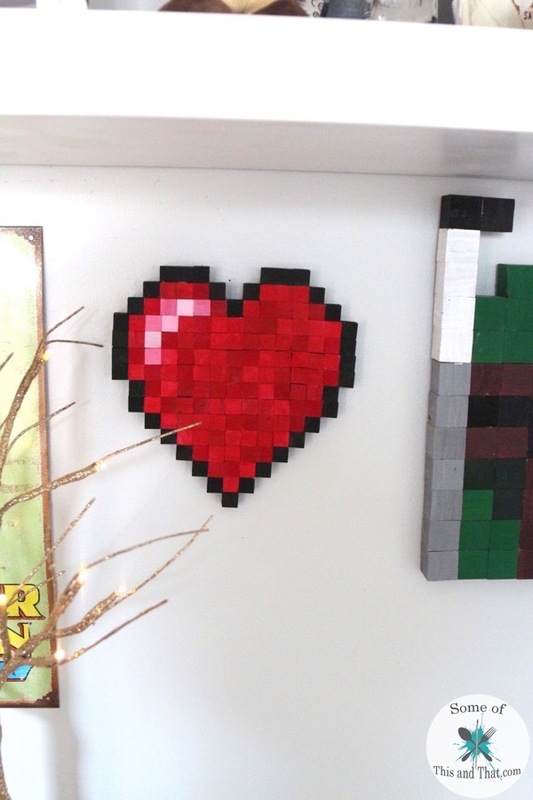 So, of course I got distracted with them and decided to make this adorable DIY 8-Bit Heart! 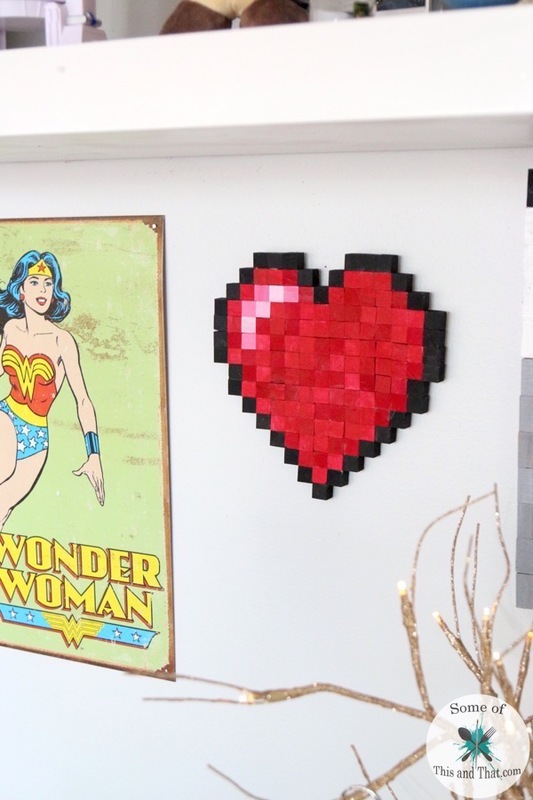 I am always down for a good nerdy craft, and this DIY 8-Bit Heart is perfect for Valentines day! You could give it to someone as a gift, but I am keeping mine all to myself! I used a total of 36 Black Blocks, 108 Red Blocks, 3 Light Pink Blocks, and 4 Dark Pink blocks. 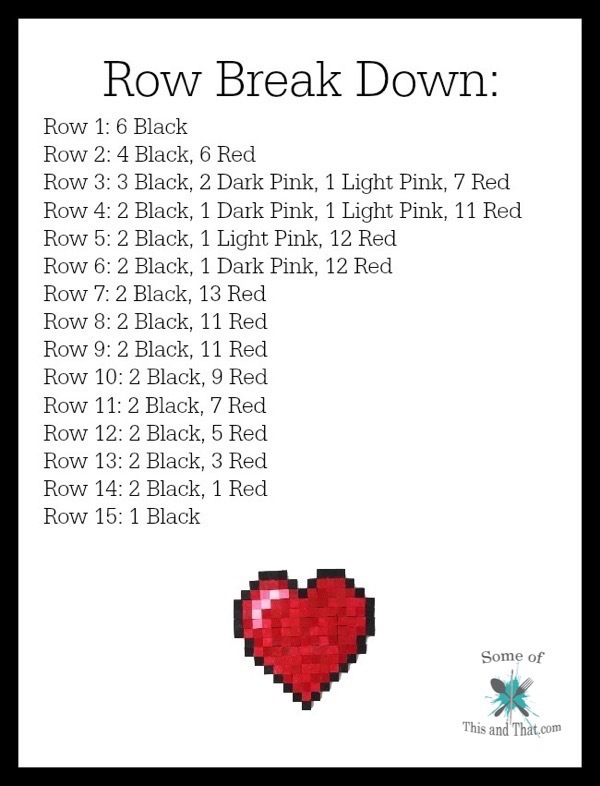 The color break down fro each row is listed below. 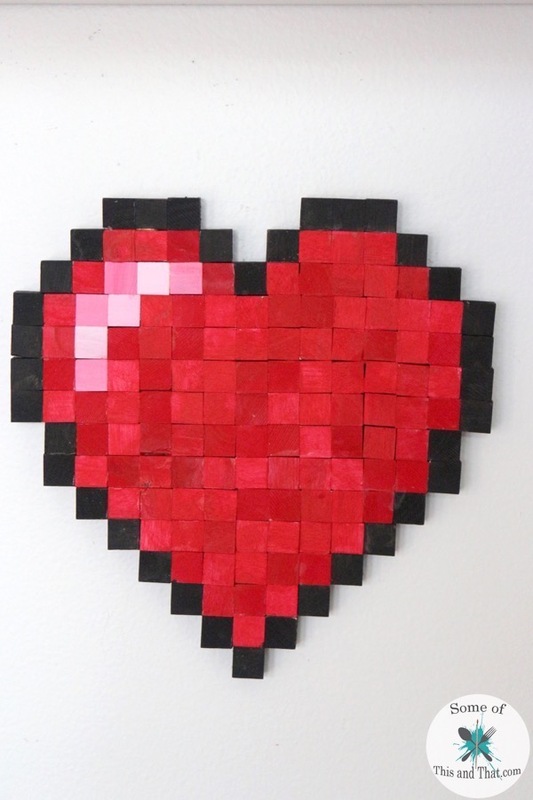 To learn exactly how I made this DIY 8-Bit Heart, check out the video below for tips and tricks! I opted to go with the traditional red heart, but you can always customize yours to what ever you want! To create the pink colors, I just added a little white to my red to make pink. You can, of course, use pink paint but I did not have the right shade on hand. Even though everything is glued together, they hold up really well. You can see my Bobba Fett one in the picture above that had been hanging for over a year. 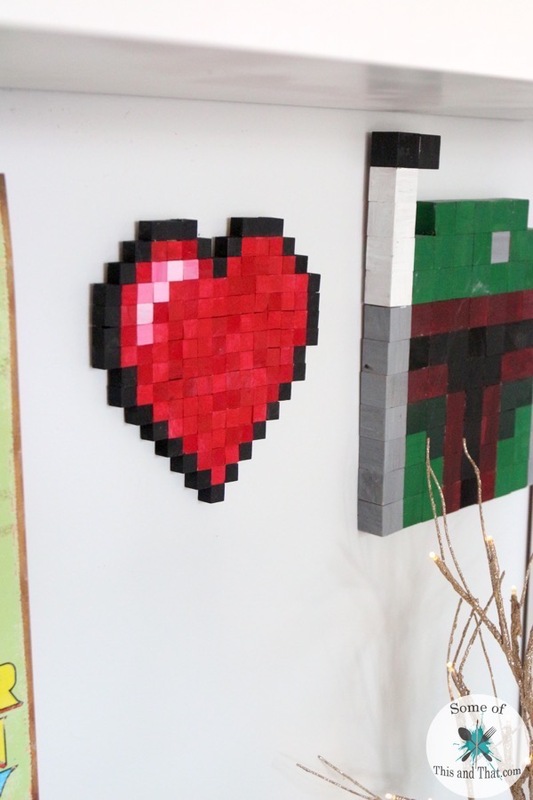 If you love this craft, be sure to check out all of our other Nerdy crafts here on the blog! We also share a ton of fun and easy DIY projects over on our Pinterest as well!